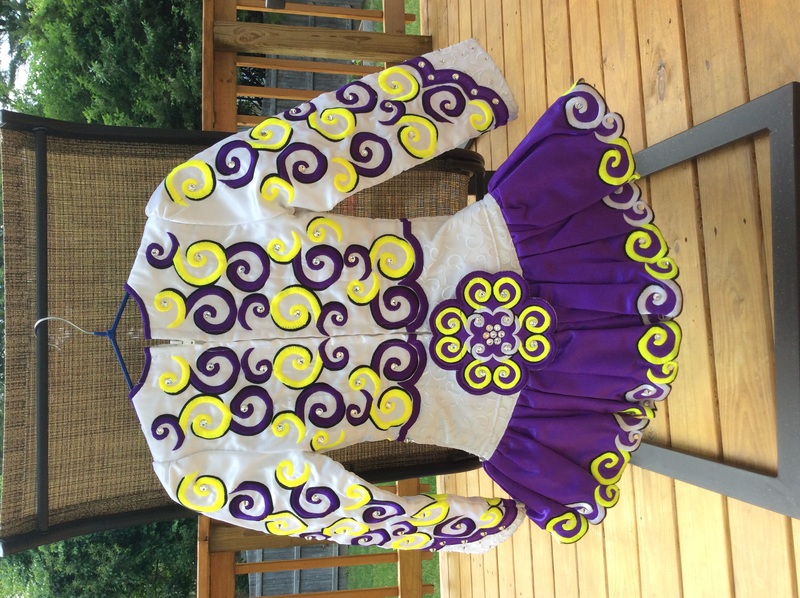 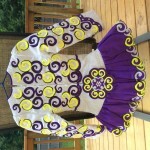 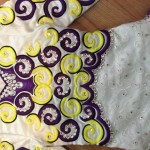 Beautiful white/purple/yellow Siopa Rince. 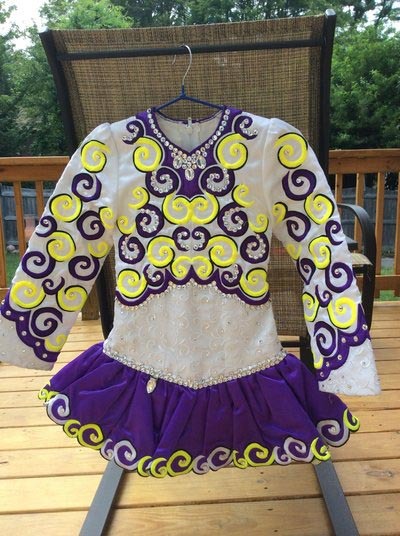 Would fit 9 -11year old. 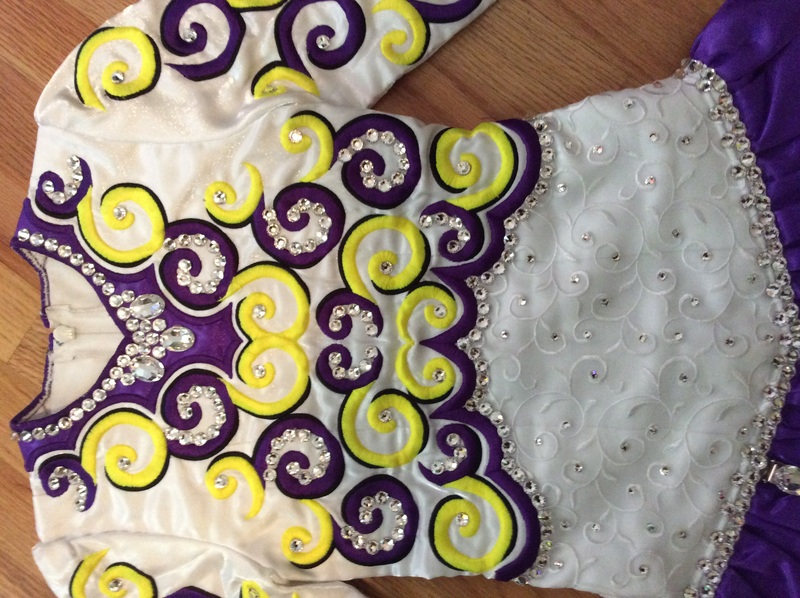 Covered in clear Swarovski crystals.